Can you imagine your life without a powerful, nice, portable and modern laptop? If not, the following top 5 of different notebooks is for you. Let’s see what kind of laptop will be the best for you. Number 5. 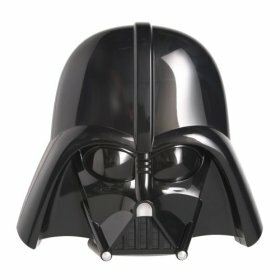 I think we’d better start with the Darth Vader Learning Laptop. This will be an outstanding educational toy for your kids. This is an exclusive gadget for children at ages 4 and up.The laptop has 80 different games that will help your child to develop. The good point is that this device doesn’t include any cruel games. Games are aimed at hand-eye coordination, music, memory, reading, typing, logic and math. I think this must be the best set of games for a child. Laptop features a QWERTY keyboard and a large, easy-to-read LCD screen with backlight. But please, don’t expect extraordinary quality of the screen. This is not a professional laptop for work. The laptop seems to be reliable and well-built. So, this gadget can become your child’s first personal laptop. Number 4. 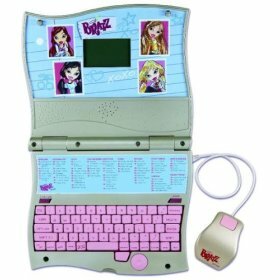 Bratz Cyber Style Laptop will be your daughter’s most desirable gadget. It looks really cute and attractive. It is perfect for a girl: starting with its design and continuing with its features.The biggest advantage of the laptop is that your girl enjoys herself and learns at the same time. 11 game categories including spelling, grammar, vocabulary, math, mind benders, study break games, art, science, geography, music, Spanish, writing, and touch typing will help her to develop her mind and succeed at school. 75 different games will help her to distract and have fun. You will be able to open new features every time you turn the laptop on. Number 3. 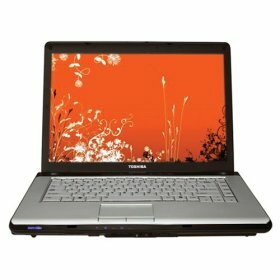 Toshiba Satellite A215-S5802 15.4″ Laptop takes the third place. This is a nice qualitative notebook. It is perfect both for work and games. It has a gorgeous, wide, bright and clear screen. 120 GB of internal memory allow you to keep all the necessary information there. Thanks to newest TruBrite technology you will be impressed with the vividness of the images. This laptop is more solid that the previous, it also has a lot of nice features that will help you either to work on it or enjoy yourself. Number 2. 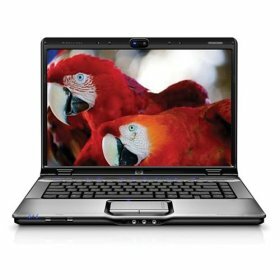 HP Pavilion DV6745US 15.4″ Entertainment Laptop is an entertainment-centric notebook with 15.4-inch LCD widescreen. It has stylish high-gloss finish with wave imprint, so it looks outstanding and gorgeous. This laptop has all the features you need. Actually, it was designed for entertainment. For example, it guarantees you fast access to your entire entertainment library. Then, you will also find a lot of functions and built-in devices that will make your work on the laptop really pleasant and productive. Number 1. Apple PowerBook Laptop was miraculously engineered. 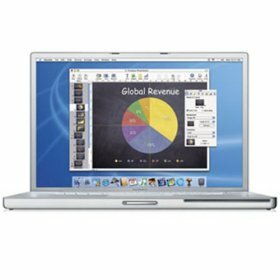 Mega wide display – the largest ever in a notebook -, brilliant screen, 100 GB hard drive, built-in Bluetooth – these are the features of this laptop. Then, Apple is a very reliable brand. Don’t care about its size and weight; it’s not a problem to carry the laptop with you. With its help you can do everything you need: have fun, distract and, of course, work. You will be definitely pleased with it – your laptop will guess beforehand your desires. Great gadget, extraordinary features – you will love it.